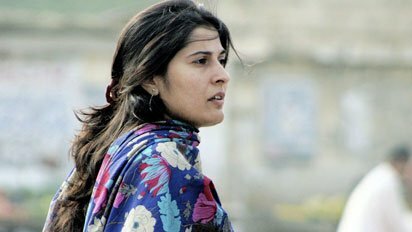 Film-maker Sharmeen Obaid-Chinoy has become the first Pakistani to win an Oscar nomination for best documentary in the short subject category. Saving Face is about the problem of acid attacks on women in Pakistan. In a statement to the BBC she said that she was "speechless" to receive the nomination which was the "stuff dreams are made of". The film chronicles the work of acclaimed British-Pakistani plastic surgeon Mohammad Jawad. It follows him as he travels around the country to perform reconstructive surgery on survivors of acid violence. The BBC's M Ilyas Khan says that the problem is systematically under-reported in Pakistan - official figures say there are 100 cases of acid violence every year, although it is estimated that the actual figure is far greater. Our correspondent says that this is partly because structural inequalities make it difficult for women to access the judicial system, while there are long standing cultural practices that enhance gender discrimination. Saving Face is an account of such violence told by survivors going through the recovery and reconciliation process. It is also about the resilience and strength of women struggling for justice. The observational documentary was filmed entirely in Pakistan, primarily in the centre of the country and in the cities of Rawalpindi, Karachi and Islamabad. "An Academy Award nomination is stuff dreams are made of," Ms Obaid-Chinoy told the BBC. "It has reaffirmed my belief it doesn't matter who you are or where you come from, if you put quality work out there, it will be appreciated. "I hope I can make Pakistan proud by bringing home an Oscar."